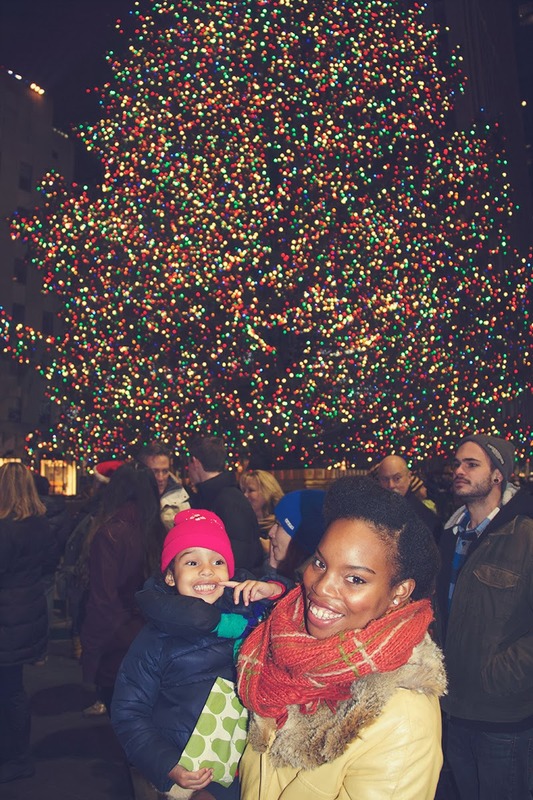 One Saturday, as the dark skies started to roll in, and as the snow did some more melting, we decided it was the perfect time to go see the Rockefeller Christmas tree. River, unsure of how a Christmas tree could get much larger than the one that stands so proudly at 6ft in our living room grew weary of our excursion into the city. Seeing the tree is something we do every year. We started to explain to her that there was a much bigger tree, and we even went on to explaining that it equaled like “10 daddy’s” which is totally untrue, but that comparison for a two year old seemed sufficient. We took extra care in packing a few snacks, and putting on extra comfy shoes, and throwing on another layer just because. We did our usual check of keys, potty time, and then we were off. Through the crazy sidewalks, and tourists who found themselves lost and disheveled, and really loud New Yorkers yelling for others to walk faster and less distractedly I held on my man as he pushed our girl. Confident and content and excited all at once. There was no particular rush for us. We know our little girl would see the tree and marvel at it, and as parents do, we would be excited at her excitement. As we left, I started to think about how years prior, this place, it was a place where I, much older than River is now, but younger than I am now, visited. One year, my mom rented out a white limousine and requested that we all get dressed up. As a pre-teen it meant everything. 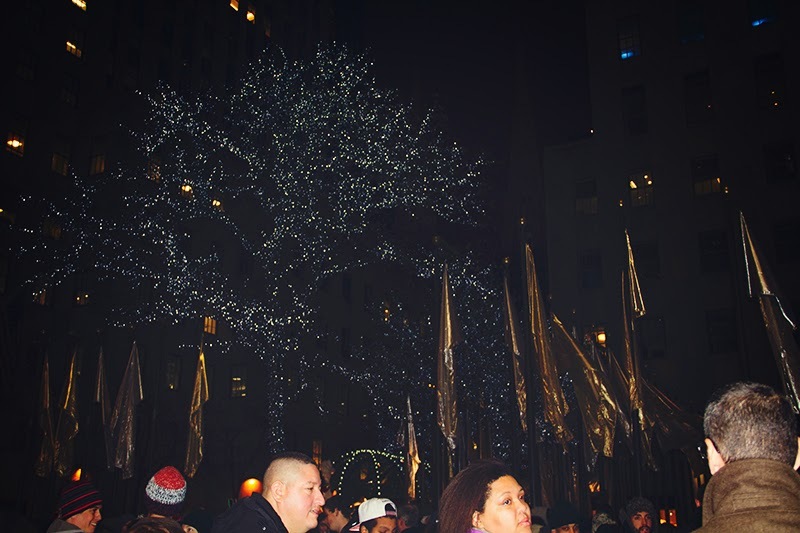 I remember the ride to see the tree, we pretended to be super rich as we also pretended to drink champagne out of the glass cups that were nicely placed in the back. Us kids, we all talked so loud and loving. I remember getting out of the limousine and feeling like we were all that mattered. I mean, we were the ones who arrived in a white limousine. 😉 I remember my grandmother, her face even as an older woman-but still very young, just as excited if not more than us kids. 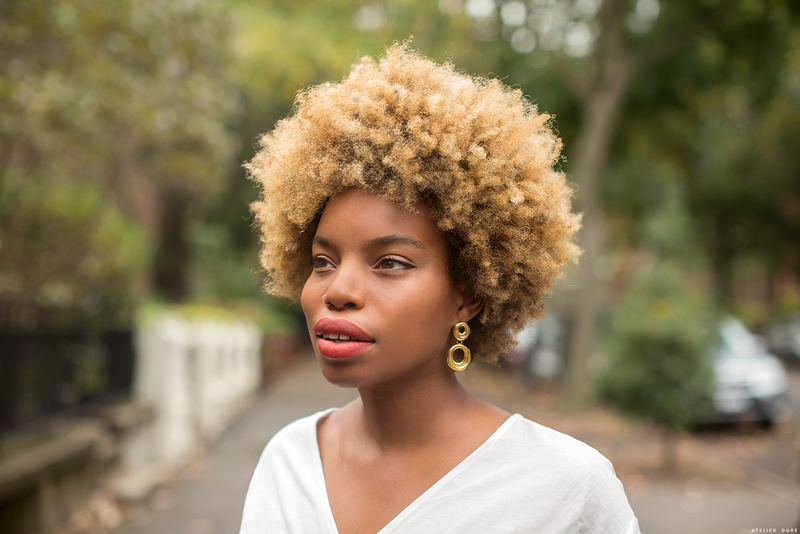 The tree, getting all decked out in her vintage wears, and carefully curling her beautiful golden locks, it meant a lot to her too. My mom, with that simple act of love, gave us a memory we will never forget. I can’t help but think how loved my grandmother, as a mother, felt, when her daughter did something like that for her. Rockefeller, a place where memories are made. These photographs are wonderful, Latonya. 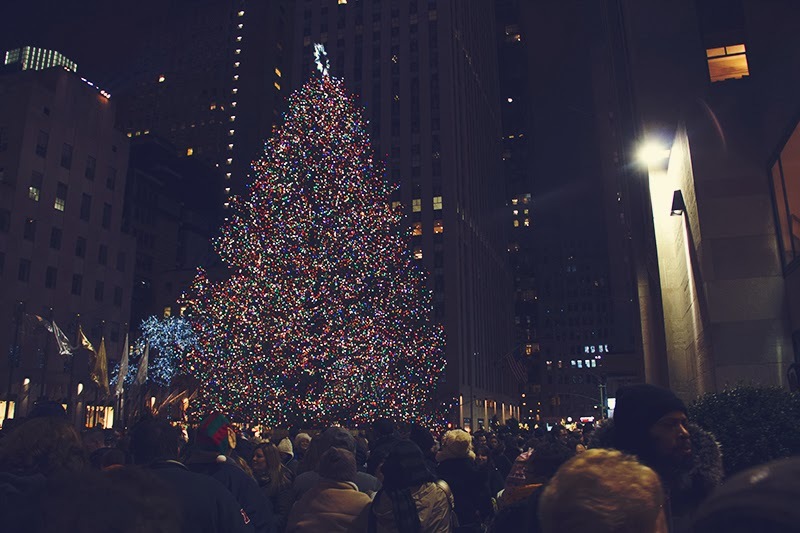 One day I will travel to New York and go to see the Rockefeller tree! We have nothing in comparison over here (England) and I think it would just be so Christmassy! And what a beautiful story about the white limousine. Thanks for sharing! the last photo of you two is absolutely gorgeous!